The audio quality of this product has been enhanced, but unfortunately some residual problems are not resolvable. A monthly recorded discussion by Nathaniel Branden of students' questions in the fields of psychology, philosophy, contemporary issues and events. Disclaimer: Nathaniel Branden's Seminars are being provided for historical study. Views expressed in these seminars do not necessarily reflect Dr. Branden's later theories or opinions. Disclaimer: Nathaniel Branden's Seminars are being provided for historical study. Views expressed in these seminars do not necessarily reflect Dr. Branden's later theories or opinions. The following content inventory is a cross reference for Nathaniel Branden's Seminars, recorded monthly from June 1969 to May 1973. 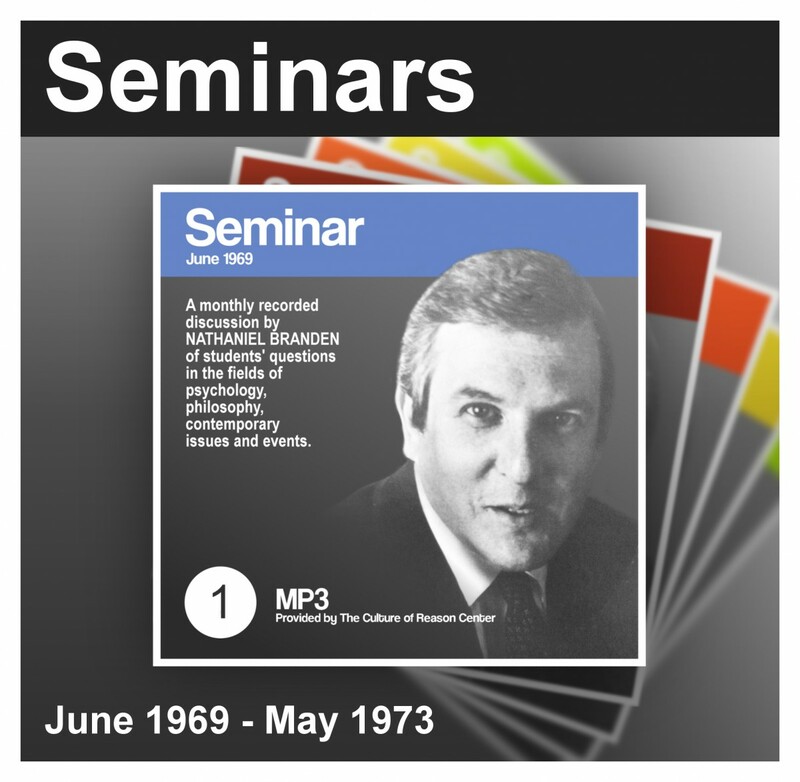 These Seminars are now available for download from The Culture of Reason Center Online Store.